One of our library patrons has become a good friend of mine. 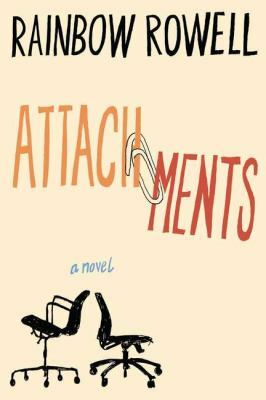 We not only share the same first name but also share similar taste in books.On a recent visit to the library, she recommended that I read Attachments by Rainbow Rowell. I finished it over a weekend and thoroughly enjoyed this contemporary romance novel. This is not your typical love-at-first-sight story. “It’s love even before that.” You probably are asking yourself how is that possible. Trust me, it is! Lincoln, the protagonist in this story, is the third shift Internet Security Officer at a newspaper. Part of his job is to monitor employee emails that are red flagged for their use of unacceptable terminology. Two first shift employees, Beth and Jennifer, turn up regularly in Lincoln’s “webfence” folder. He can’t bring himself to turn the women in for their inappropriate use of the office internet. Lincoln is drawn into their lives and looks forward to each email exchange. He finds himself caught up in their continual banter. Lincoln falls hard for Beth, an employee he has never met and who’s never met him. He loves her for her words, her thoughts, her witty view of the world and her tender care for her friend, Jennifer. Will Lincoln and Beth ever meet? Read the book! Find out if there is a happy ending to this romance with a modern twist. We read this book for our book club and we all loved it too! It was easy to read and hard to put down. The chapters were so short it was easy to “just read one more chapter”. And whether it should have been or not, it was fun to find out what would be said in people’s emails next.